Laura Cusano chooses Photographs to narrate stories. She was born in Switzerland in 1974 and grew up in Italy (in Sannio, near Benevento). In 1993 she moved to Rome where she earned a Diploma in Photography at the European Institute of Design (IED). She then graduated in “Lettere” at “La Sapienza” University in Rome. Her thesis was on visual Anthropology. At the same University, she obtained PHD in Ethnology and Ethnoanthropology Research. 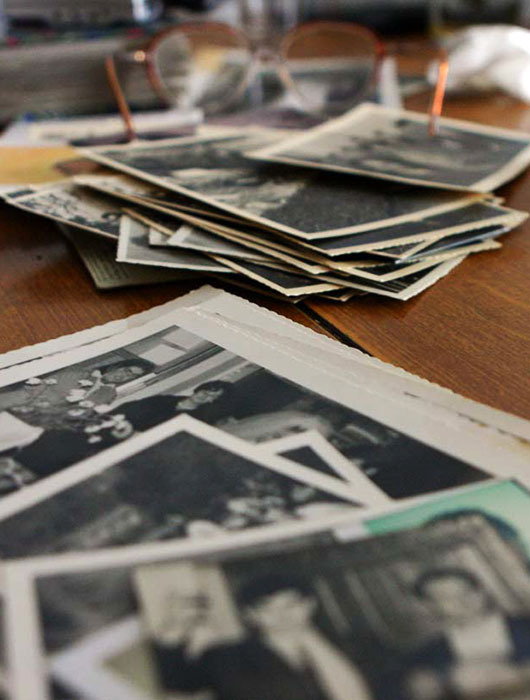 Her thesis was about passing on memories through photographic images. These are indeed the topics she has dealt with the highest interest and care throughout her life. At present Laura works as a freelance photographer. She’s also involved in cultural projects on photography. Furthermore, she teaches Visual Anthropology at the IED in Rome. Laura is married and she’s also the loving mother of two girls, Tea and Maia.